Mint green coat, Sammydress.co.uk; Monochrome square print camisole, River Island; Pale pink pleated skirt, River Island; Glitter toecap ballerinas, Zara; Necklaces, both c/o Little Nell; Lips, CHANEL Rouge Allure in ‘Gabrielle’; Mulberry Alexa in Petticoat White. And then I bought a mint green coat. And maybe a candyfloss hued skirt. And, actually, my friends just know me far too well. 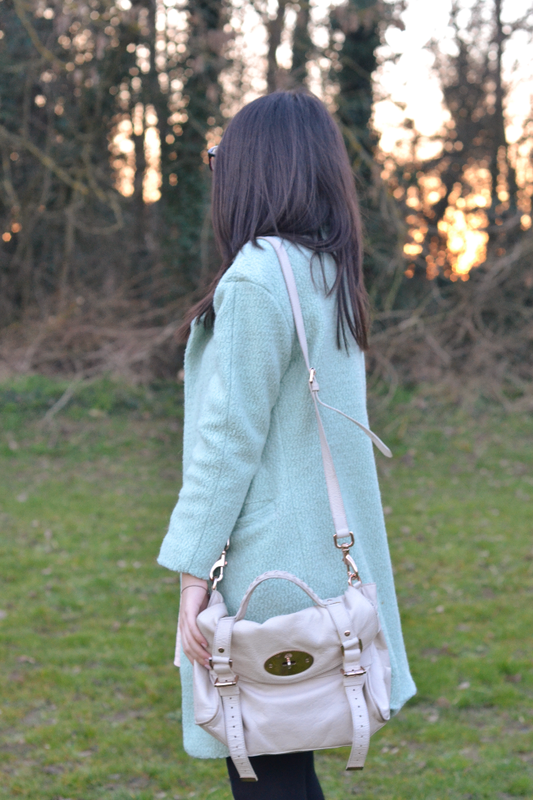 This coat is easily the showstopper of my SS14 wardrobe. It screams softly shouts a hailing new trend and has effortlessly updated my wardrobe. I must also interject here that it paves the way for the long overdue return of colour to said wardrobe. Of course for its’ Daisybutter debut I had to go all out. I pretty much pounced on this skirt when I saw it, the structured skater shape just slots right in to the clothing family. I teamed it with my monochrome square cami (also by River Island) and added a necklace for once, because there’s something about dipping my toe back into pastels that makes me want to look as polished as poss. 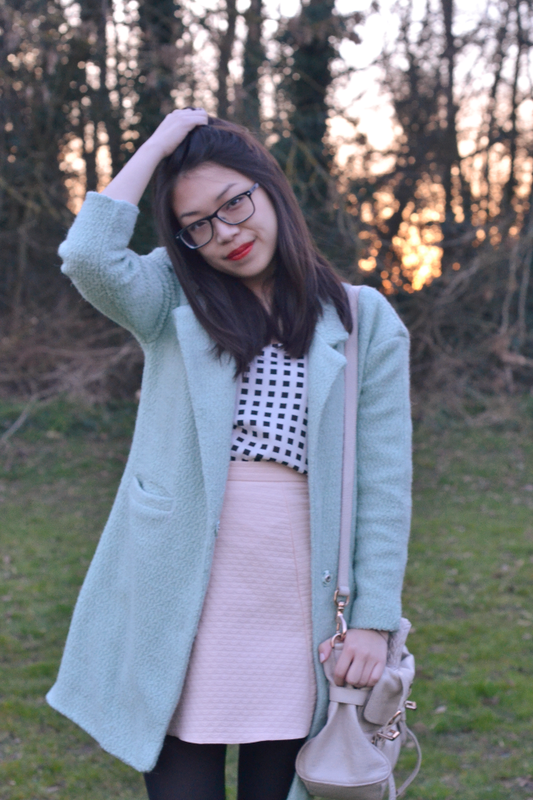 How are you feeling about the freshened-up pastels trend? A look for you too?